This property on the fringe of Rotorua is brimful of money-making options. Formerly run as a successful bed and breakfast, Deer Pine Lodge's multi accommodations are currently rented out, creating huge home and income opportunities. The assemblage of buildings includes a stand-alone complex of four fully self-contained two-bedroom units. Designed by Rotorua architect Gerald Stock, each unit has a private balcony and a car park. Nestled within the peaceful 7.8ha rural landscape is a complex comprising six bedrooms (four with ensuites), a main bathroom, a communal kitchen and lounge, plus large car park. Enhancing versatility is the main three-bedroom Lockwood home flanked by two one-bedroom bed and breakfast rooms. Infrastructure includes an implement shed and deer fencing. 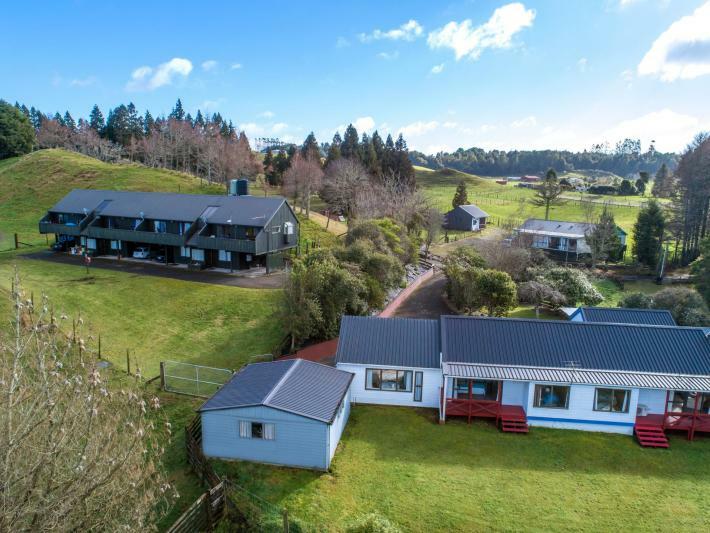 Wrapped in a tranquil country ambience, replete with select lake views, and well placed for Ngongotaha village life and two vibrant cities - Rotorua and Tauranga - the tree-lined property is advantaged by its convenient yet private location.